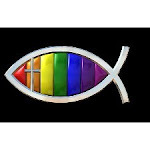 My Gay Christian Blog: You Have Power! I feel tonight that God is giving this word of encouragement for our Christian Brothers and Sisters around the world. My friends, the same power that raised Jesus Christ from the dead runs through your veins today! The enemy may have told you that you are down and out, lost and forgotten, wounded and dying, but today God wants you to know that you are alive! He longs for you to flourish and prosper in Every Area! If you have been fighting a battle against the enemy, whether it be spiritual, mental, physical, financial, emotional....declare out loud, "Get thee behind me, satan! I am alive and well because I have the authority to trample you under foot! Leave me alone! Leave my family alone! Leave my finances alone! Leave my life alone! The power of the blood of Jesus lives within me and I am taking a stand against you! You must leave now!" Declare with faith that God is bigger then your problems. Rise up and fight again! No matter how beat down you feel, God has never and will never leave you. Jesus came so that you might have LIFE and have it more abundantly! Tap into the power source of your Abba Father and take control back from the enemy! Stand in the promises of God today! Remember Luke 10:19 "I have given you authority to trample on snakes and scorpions and to overcome all the power of the enemy; nothing will by any means harm you." Claim the promise of Psalm 91:3-7 "....Surely he will save you from the fowler’s snare and from the deadly pestilence. 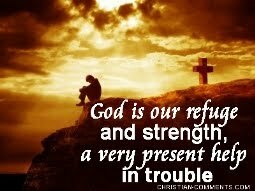 He will cover you with his feathers, and under his wings you will find refuge; his faithfulness will be your shield and rampart. 5 You will not fear the terror of night, nor the arrow that flies by day, nor the pestilence that stalks in the darkness, nor the plague that destroys at midday. A thousand may fall at your side, ten thousand at your right hand, but it will not come near you." Declare Isaiah 53:5 "...He was wounded for our transgressions, he was bruised for our iniquities: the chastisement of our peace was upon him; and with his stripes we are healed." The enemy longs to keep us confused about our identity. His plan is to keep us so mired in the muck of everyday life that we forget who we are. You are a joint heir with Jesus Christ! You are the head and not the tail! You are More then a Conqueror through Christ! My brothers and sisters, the battle has already been fought and the victory has already been won! Stand in the promises of God and Remember who you are! Get in the habit of using the authority that He has given you to kick the enemy out of your life. As you learn to walk in the Power that God has Promised You, your life will become one of victory in all situations instead of defeat. I pray you receive this word of encouragement and let God work in every facet of your life. If you aren't a Christian but want to accept Jesus as your personal Lord and Savior so you too can tap into this same power, please visit the link "How to become a Christian" on the right side of this page.